The next time your neighbor with the emerald green lawn casts a look down their nose at your less than perfect lawn, don’t feel bad. The fact of the matter is that your weedy lawn is doing more for your garden, the environment and your wallet than the supposedly “perfect” lawn your neighbor maintains. One of the major benefits of having a weedy lawn is that many weeds in your lawn attract butterflies and caterpillars. 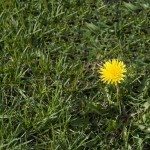 Common lawn weeds, such as plantain, dandelion and clover are sources of food for the Buckeye butterfly, Baltimore butterfly, Eastern tailed blue butterfly and a great many others. Allowing some of these common weeds to grow in your garden, encourages butterflies to lay their eggs in your yard, which will result in more butterflies in your garden later on. Weeds also help to attract other beneficial bugs to your garden as well. Many good bugs, like predatory wasps, praying mantis, ladybugs and bees find food and shelter in the weeds in our yards. These “good” bugs will help to keep the “bad” bug population down in your garden as well as providing pollination to your plants. The more weeds you have in your lawn, the less money and time you will have to spend on battling back the bugs that can hurt your plants. Many weeds are also blessed with a natural insect repellant. Letting weeds in your lawn grow near your more weed free flower beds can help drive out even more “bad” bugs from your plants. Weeds can also help keep down erosion of topsoil on your property. If you live in an area that is prone to drought or live in an area that is unfortunate enough to experience a drought, the weeds in your lawn may very well be the only plants that survive. Long after your grass has died from the heat and lack of water, those weeds will still be there, holding down the precious topsoil that will be vital when the rain returns and you can replant the grass. Beyond that, many of the chemicals we use to keep our lawns “healthy” and green are actually carcinogenic and very bad for the environment. Run-off from chemically treated lawns finds its way into sewer systems and then into water ways, causing pollution and killing many aquatic animals. Even before these chemicals make it to the water, they may cause harm to your local wildlife. While you may be able to keep your kids and pets off a chemically treated lawn, a wild animal or a neighbor’s pet cannot read the sign that says your lawn has been chemically treated. So instead of cringing at the glares you get from your neighbors with over treated lawns when your lawn becomes polka-dotted with dandelions, smile politely and inform them that you are growing an environmentally-friendly, baby butterfly nursery. Read more articles about General Lawn Care.